Two years ago, the Saudi Arabian government announced with great fanfare – and was met with some skepticism – plans to manufacture automobile parts by 2013 and assemble cars by 2021. 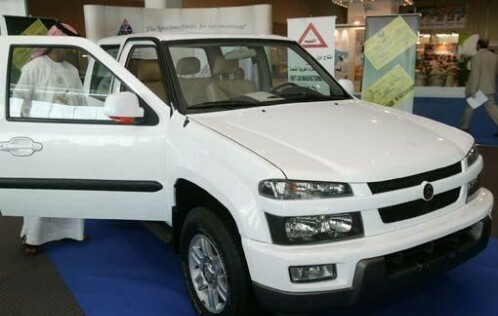 King Saud University engineering students, who designed an economical sport utility vehicle called the Ghazel, bolstered those plans with a tangible vehicle ready for production. Saudi economic analysts are optimistic that automobile manufacturing in the kingdom will help reduce the economy’s reliance on oil exports. Yet roadblocks persist. Already the goal to manufacture car parts next year is in jeopardy as infrastructure and a trained labor pool are not in place. It begs the question of whether Saudi Arabia can pull off a massive undertaking within its stated timetable or even come close to it. “It’s not realistic,” Asaad Jawhar, an economics analyst and professor at Jeddah’s King Abdulaziz University, told The Media Line. Jawhar says manufacturing automobile parts is more likely to get underway within five years. Saudis love their cars, purchasing an estimated 800,000 in 2011 with an expected one million cars to be bought annually by 2020. The Petroleum and Minerals Ministry and the Commerce and Industry Ministry are investing in research and development, design, vehicle assembly and infrastructure to create enough exports to help the kingdom wean itself from oil revenues. The ministries initiated the National Industrial Clusters Development Program to help achieve those diversification goals by focusing on five industries: automobile manufacturing, solar energy, plastics, home appliances and minerals processing. The most ambitious challenge is building cars. Fayez Al-Sharef, chemical project director for Saudi Aramco, told Bloomberg News in October that he expects the nascent Saudi automotive industry to eventually create 100,000 jobs and produce a half-million cars every year. If the vision of self-sufficiency through diversification sounds familiar, it’s because Saudi Arabia has been down that road before and failed. Saudi Arabia has been looking since the 1970s for the magic export product that will minimize its dependency on oil. The government implemented an ambitious plan to develop its agricultural industry to become self-sustaining and provide every Saudi household with food grown within its borders. Production of wheat and rice rose steadily, but so did the expensive proposition of building irrigation systems to bring groundwater to the crops. Between 1984 and 2000, Saudi Arabia spent an astronomical $83.6 billion to irrigate crops and build agricultural infrastructure. The project cost more than twice it would have to import foodstuff, according to the School of Oriental and African Studies at King’s College London. However, the 1991 Gulf War put a severe strain on the Saudi budget and groundwater – its availability in the desert always an issue – was increasingly difficult to bring to the surface. Efforts to maintain irrigation of 1.12 million hectares, the level irrigated in 2000, is almost an impossible task. The project could not be sustained. There are signs that creating an automotive industry could work. During the third quarter of 2011, nonoil exports rose by 34%, mostly in petrochemicals and plastics, according to the Saudi General Statistics Department. China was the biggest consumer of these products. Didier J. Vigouroux, vice-president of the Automotive Cluster for the National Industrial Clusters Development Program, told The Media Line that a Saudi automotive industry is capable of matching petrochemicals and plastics as viable exports. The brightening picture in exports lays the foundation for developing parts manufacturing plants and ultimately automotive assembly. 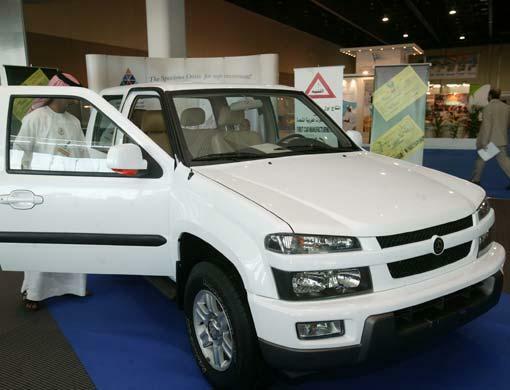 Isuzu Motors Ltd. has an assembly plant in Dammam for medium- and heavy-duty trucks. The plant is expected to begin this year to produce about 25,000 vehicles annually for export to Asia. Vigouroux says any timetable to bring other automobile assembly plants online is flexible. “The only true assembly plant project in Saudi Arabia is the Isuzu plant, but as far as developing other plants we are still talking to certain companies,” he says. Following its unveiling of the Ghazal sport utility vehicle, King Saud University inked an agreement with the South Korean engineering company Digm Automotive Technology to develop a car priced under $10,000. Saudi Arabia would export the car to neighboring Gulf countries and North Africa. However, a slow start to get the fledgling industry out of the gate may not only scuttle 2021 timetable for automobile production but also doom Saudi Arabia’s diversification plans. While the Saudi government is financing production and logistics facilities through 20-year loans in the remote regions of Najran and Tabuk, the question remains whether employers can find competent Saudi labor. The government’s Nitaqat program requires that companies with more than 3,000 employees must employ Saudis for 30% of its workforce. A Saudi engineering consultant, who asked not to be identified because he is not authorized to speak for his client, told The Media Line that it would be difficult to fill factory jobs with Saudis. The key to overcoming infrastructure and labor issues is better cooperation between agencies. Jawhar observed that a successful automotive industry depends on two groups that historically have done a poor job developing marketable exports: the government and private business. This article first appeared in The Media Line.